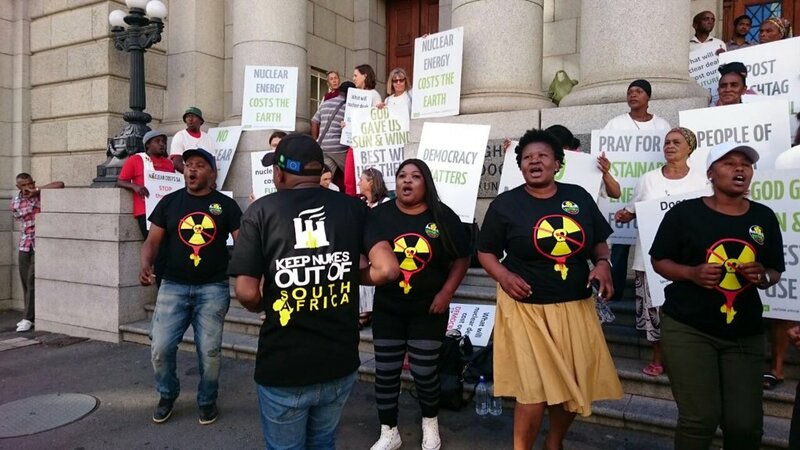 The MJC representatives were part of a group of jubilant supporters on the steps of the Western Cape High Court in Cape Town as they celebrated the court ruling in favour of SAFCEI and Earth Life Africa. The MJC (SA) as a member of South African Faith Communities’ Environment Institute congratulates its organisation SAFCEI on this victory with Earth Life Africa. The MJC (SA) hopes that this court ruling is an important reminder that good governance is to undertake due process through the proper structures of governance. The judiciary should not unnecessarily be tasked to remind Government of its Constitutional responsibility. Rather, the Government should abide by the Constitution of the Country. That is good governance. Good Governance is also to avoid acts or procedures which are unlawful according to South African Law. In this Nuclear Deal has found the government guilty of unlawful activity and in contravention of the Constitution.